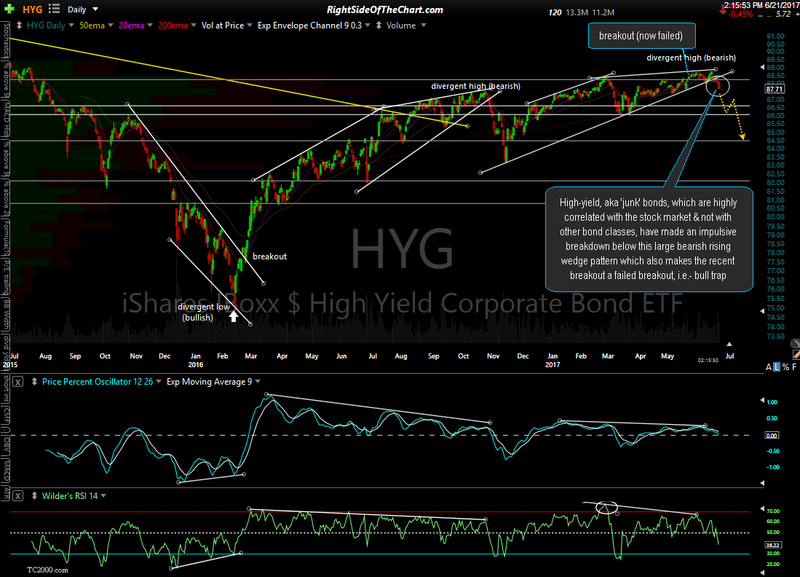 High-yield, aka ‘junk’ bonds, which are highly correlated with the stock market & not with other bond classes, have made an impulsive breakdown below this large bearish rising wedge pattern in HYG (High Yield Corporate Bond ETF) which also makes the recent breakout a failed breakout, i.e.- bull trap. 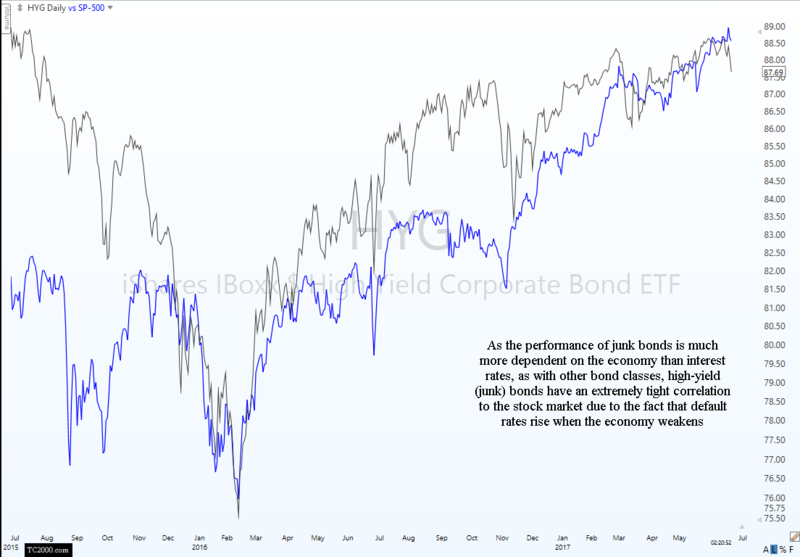 As the performance of junk bonds is much more dependent on the economy than interest rates, as with other bond classes, high-yield (junk) bonds have an extremely tight correlation to the stock market due to the fact that default rates rise when the economy weakens. …and before anyone points out the fact that a good percentage of junk bonds are in the energy sector, hence the recent carnage in crude oil & the energy stocks unarguably has contributed to this breakdown, the technicals are what they are & this is a breakdown of a very clean, well-defined bearish rising wedge pattern. Although a false breakdown is always possible on any pattern at any time, today’s breakdown is clearly a bearish technical event which is likely to have longer-term bearish implications for junk bonds (and quite likely, the stock market as well). I agree Randy, I think this is a significant technical event. Could reverse of course, but its a very valid caution flag for the market.